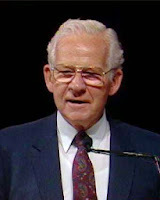 Elder Marvin J. Ashton (1915-1994) served as a member of the Quorum of Twelve Apostles from 1971 until his death in 1994 at age 78. "Have more patience with yourself—more self-understanding. I would plead that we understand it is not our role to be self-condemning. I like to think when we are taught 'Judge not, that ye be not judged,' that it has direct reference to us and our relationship with ourselves. We should not judge ourselves. We should teach ourselves patience—patience to believe in ourselves, patience to motivate ourselves, patience to believe that God and I can do it. When necessary, lean on the truth 'I am a child of God.' God and I, with patience on my part, can do it. "I share with you this morning, my young friends, this fact. When you have hours and days of a feeling of inadequacy, when you are inclined to say, 'I don't have much going for me; no one cares about me,' I bear witness to you that an eternal truth of the gospel of Jesus Christ is the value of the individual. God will not forsake you." 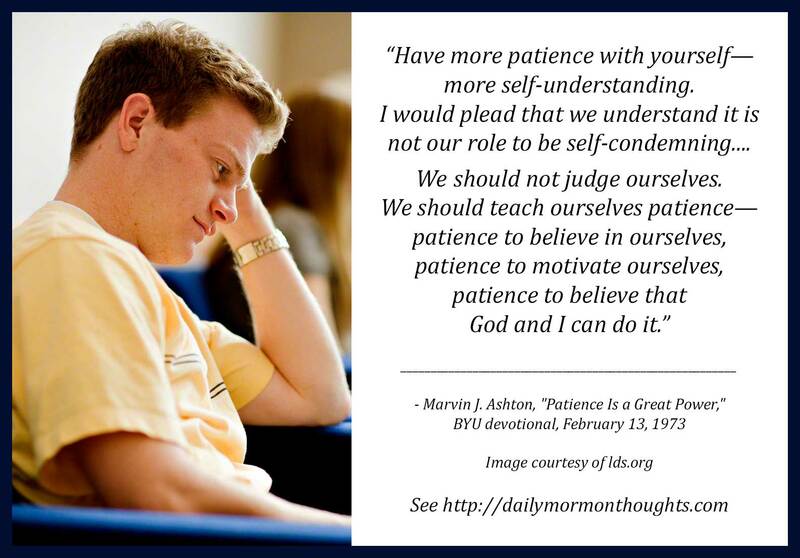 It was interesting that Elder Ashton identified two major tools used by Satan as "spreading impatience and discouragement." We want results fast, and get annoyed when we have to wait; or we lose hope. 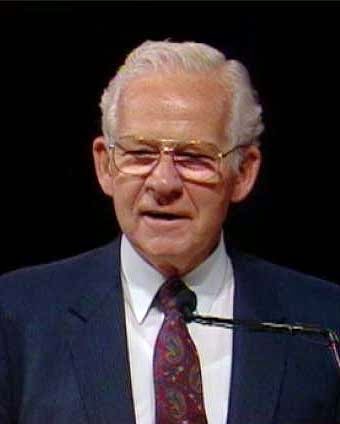 Elder Ashton's strong witness was of the "eternal truth of the gospel of Jesus Christ" that each individual has great value to God, and will never be left alone in the midst of trials. We need only remember that and turn to Him for help!